And someone has written a history of phosphorus. "...any contemporary novel today has a kind of Google novel aura around it, where somebody's going to google everything in the text ... there's this nebulous extended text. Everything is hyperlinked now." 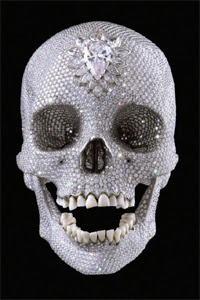 The Crystal Skulls Invite You.